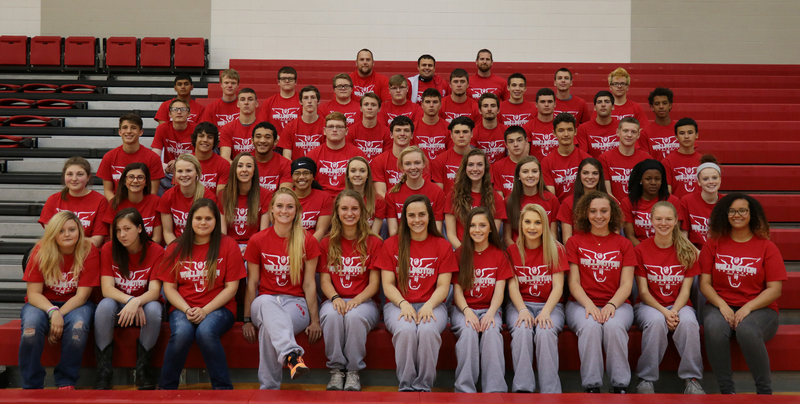 There was season opening action on Friday for the WHS Track & Field Squad - about "50" Crusaders headed off to Clearwater for their annual "participation" meet. Other schools present included Cheney, Medicine Lodge and Conway Springs. The weather wasn't as bad as it has been at times in the past for this "FIRST" track meet of the season but it was windy and chilly and as the sun got lower in the sky, it only got chillier. At the end of the day, the Crusaders had "22" top 3 finishes - "7" 1st's / "5" 2nd's / "10" 3rd's and because it was a "participation meet", everyone got to participate which is awesome! Mariah Grable - 8th - 4'6"
Kylie Aufdengarten - 10th - 4'4"
Blake Rausch - 7th - 5' 0"
Taylor Meyer - 4th - 6'6"
Kylie Aufdengarten - 5th - 6'6"
Matthew Mason - 1st - 11'0"
Nic Reyes - 3rd - 9'0"
Jake Soria - 4th - 8'0"
Joe Ybarra - 4th - 18-9.25"